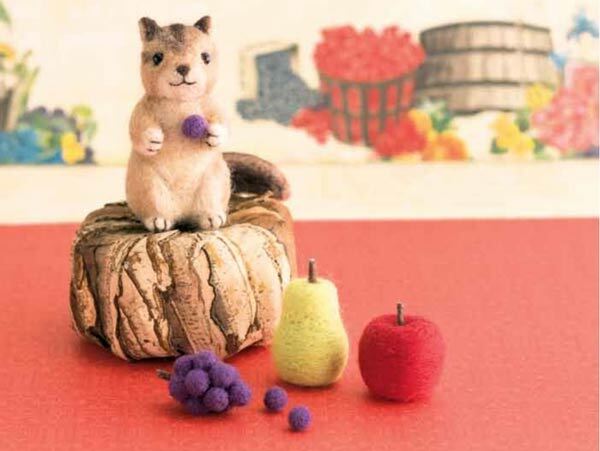 If you enjoy crafting with natural materials, creating needle-felted animals may be your new favourite hobby. 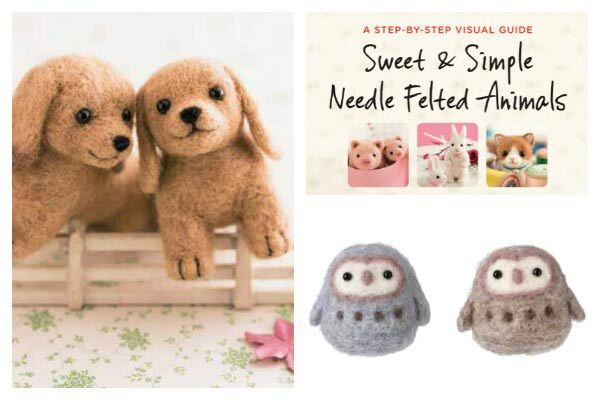 This excerpt from the book, Sweet & Simple Needle-Felted Animals by Sachiko Susa provides an overview of the process plus some adorable project ideas to get you started. I also have more craft and handwork project ideas here. This excerpt from Sweet & Simple Needle-Felted Animals by Sachiko Susa is used with permission by Tuttle Publishing who also provided a review copy of this book. 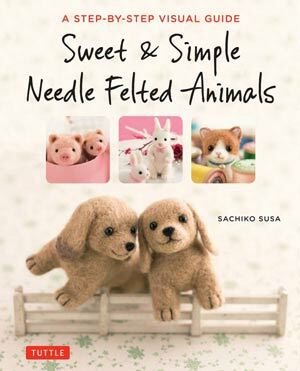 Sweet & Simple Needle-Felted Animals by Sachiko Susa shows how to needle felt household pets, barnyard buddies, and fun mascots that you can make into accessories you can carry or wear. 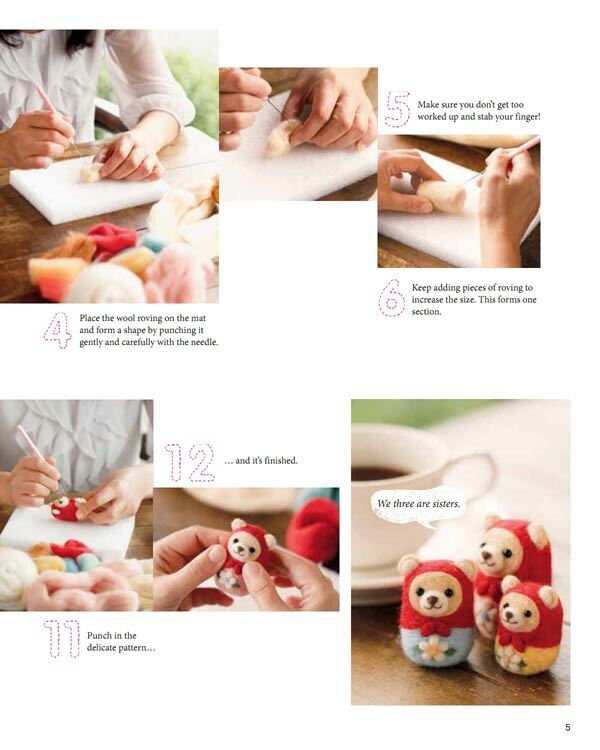 Step-by-step instructions and photos show you how easy it is to make basic shapes, attach components, add details and attaching findings to make accessories. 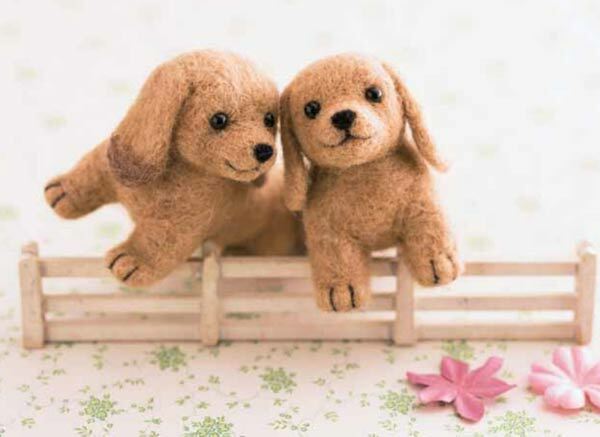 Suitable for needle-felters of all levels. 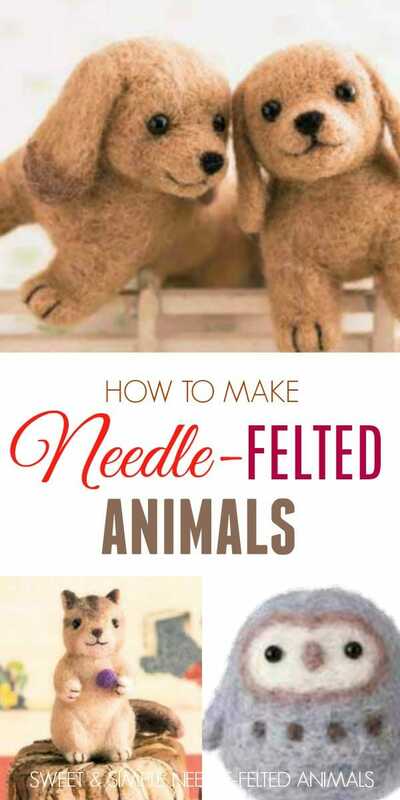 Needle felting is a craft where we take wool roving and work it with a needle (see more on the tools, below), gradually plying it together, forming shapes and designs. The combination of different shapes, colours, and accents like beads for eyes, creates adorable little works of art like the dogs, owls, frog, and chipmunk shown here. Wool roving comes from wool fleece, that hair we shave off sheep to produce yarn. With roving, the fibers are somewhat bound together, in a long, narrow bundle, similar to the texture of cotton balls. You can see wool roving here on Amazon. It’s a natural material, and, with the addition of dyes (don’t worry, you buy it pre-dyed), offers creative opportunities much like tubes of paint for a painting. 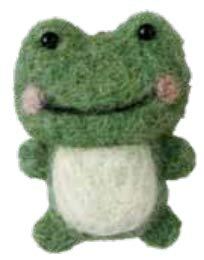 But in this case, the medium is wool, and the creations are tiny characters, animals, charms, or toys. Roving is available from various sources including wool fleece, raw cotton, and other fibers. For projects like this, wool is the top choice. I believe so! The book has thorough instructions including visuals showing exactly what shapes and sizes to create for form these characters. Each piece is shown in actual size with a ruler to get the proportions just right. I think this is a good as it gets without having an in-person teacher! Here’s some examples of projects in the book. A mat is used as the work surface. A needle tool (kind of like a crochet hook, but with a sharp tip) is used to gradually work the roving into dense shapes. The decorative colours are reserved for work on the exterior of each creation (since the inside materials will not be seen). 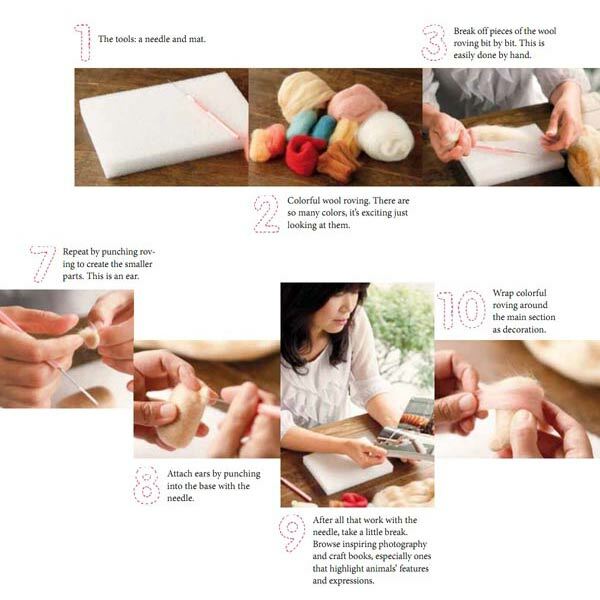 As mentioned, the book provides extensive help, so you can get sizes, shapes, and details just right. When I learned to do this years ago, we just used a needle, roving, and a mat. For best success, there are a few more supplies you might like to also use. It’s the perfect craft if you’re like me and like to keep creative while binge watching something good on Netflix. Hand-Embroidered Ear Bud Case | Cute!